• He paid tribute to his predecessor David Moyes, thanking him for giving him his first chance in coaching, adding: "It is something I will always remember." 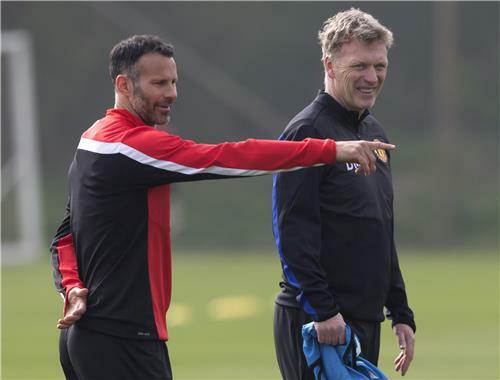 • Giggs admitted it had been a "frustrating season for everyone... You win together, you lose together." He also pledged to "bring some positivity back, bring smiles to the faces." • Giggs talks about the playing style Manchester United can expect to play in his final four games: "I want the players to express themselves and enjoy themselves. It will be my philosophy and Manchester United's philosophy because I have been here all of my career." 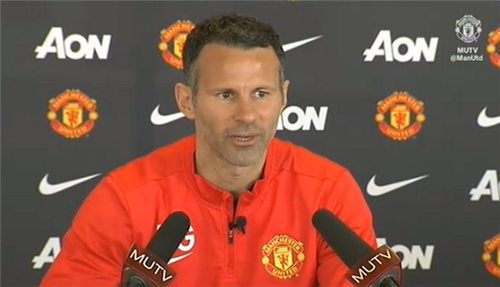 Ryan Giggs addresses the media ahead of his first match as the Manchester United interim manager. "I have got to say it is the proudest moment of my life. I have supported Manchester United all my life, I have been a part of the club since I was 13. I am proud, I am happy, a little nervous and, just like playing, can't wait for the game on Saturday." Giggs: "I want the players to play with speed, tempo, be brave, show passion, work hard, all the things I expect of a Man Utd player." "My mindset is on Norwich first this weekend and then the remaining three games. After that, who knows what happens? 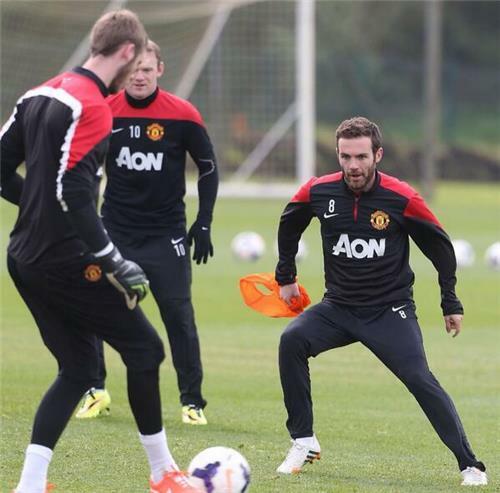 "The reaction in training has been good, so let us try to have a good end to a frustrating and disappointing season. My message is that I trust the players, I know what they are capable of and I want them to go out and show it on Saturday." "It has been a frustrating season for everyone. You win together, you lose together. These four matches I want to bring some positivity back, bring smiles to the faces. I want to see goals and tackles, I want to get the crowd up and want to see the passion." Giggs: "I would like to go on record to thank David from giving me my first chance in coaching"
Ryan Giggs did really well at Press Conference -comfortable & showed a good sense of humour. I sense big performance from #ManUtd tomorrow. "I would like to go on record to thank David Moyes for giving my first chance in coaching. It is something I will always remember. He gave me the opportunity for my first coaching role." 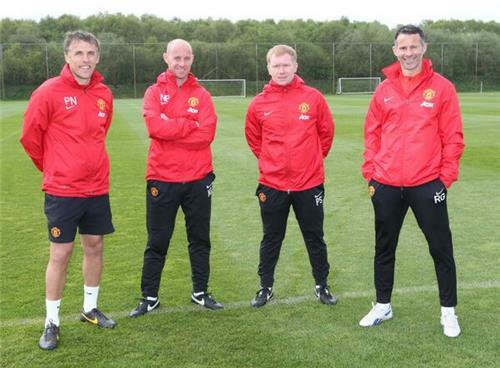 Giggs: "It was a shock on Tuesday when I spoke to Ed, he informed me David was leaving and asked me to take over. It's been a whirlwind"
"I would like to say how proud I am of managing the club I have supported all my life. It is a proud moment for me and one I will enjoy." Giggs talks about the playing style Manchester United can expect to play in his final four games: "I want the players to express themselves and enjoy themselves. It will be my philosophy and Manchester United's philosophy because I have been here all of my career. I want the players to play with passion, speed, tempo, be brave and with imagination. Also, work hard and most of all enjoy it. If I know I am enjoying a game I can express myself more. That is what I will be doing with the team tomorrow." Short but sweet from Ryan Giggs, then, with the star looking at ease with the responsibility of managing the club he has made a club record 671 appearances for. A stark contrast to the beleaguered David Moyes's last few press conferences. 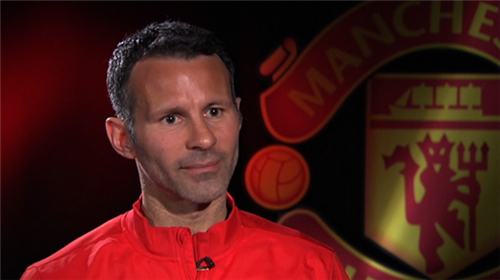 Ryan Giggs: “It has been a frustrating season for everyone. You win together, you lose together.” #SSFootball "
Also worth noting that Giggs looked relaxed in front of the media. Probably to do with those 671 appearances and the numerous press conferences he's had to attend. 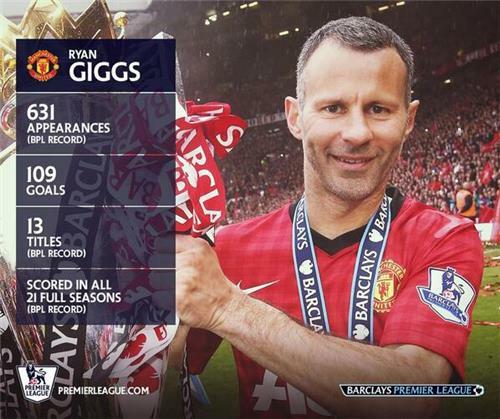 Is Giggs in the frame for the United role full time? He certainly talked the talk today, and if United put in four swashbuckling performances between now and the season no one will be ruling him out. 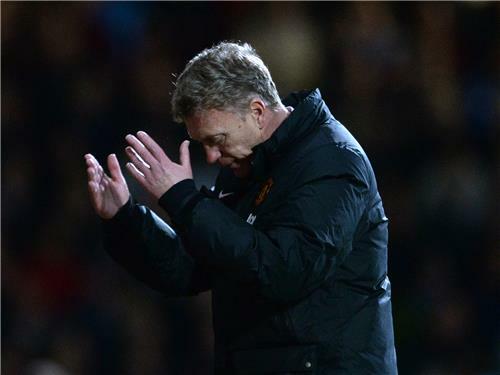 Who could replace David Moyes as Manchester United manager? David Moyes sacked. Following the sacking of Manchester United manager David Moyes the focus is now firmly on who could be next in the Old Trafford hot seat.The former Everton boss, who was hand-picked by the retiring Sir Alex Ferguson as his successor at Old Trafford, is understood to have lost the support of the Glazer family and senior club executives following an awful league campaign.United veteran and coach Ryan Giggs has replaced Moyes in a caretaker role.But who will replace him for the long term? Click or slide through to see the odds on the other men cited as possible successors to David Moyes. The latest football results, news and live coverage from MSN Sport UK. Get live football scores from the Premier League, Championship, FA Cup. 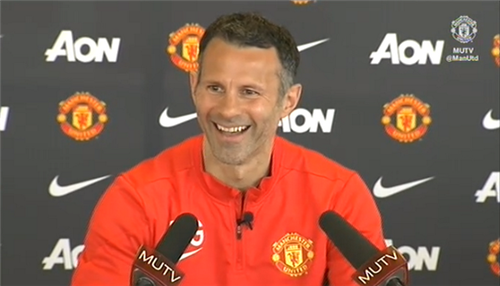 Giggs said he wanted United to play with 'passion and tempo'. A bit of a dig at Moyes' more prosaic approach? Tragic news about Tito Vilanova, the former Barcelona coach. So sad. RIP. He played for him for over 22 years and Ryan Giggs says Sir Alex was the first person he called after being named #mufc interim boss.